Great apartment. Great price. Great staff. All around great. Love the neighborhood and how quiet it is here. Amenities are wonderful too. Dog run is my favorite amenity. Our family loves our home and we are so excited for summer so that we can check out the pool and hot tub! Thank you for all the staff and everything you guys do! Great! People are very respectful, office staff is always a joy! Would Recommend to anyone this apartment complex to anyone looking for a new place to live. Overall I love living here! The only thing I wish we had was a gym but other than that it’s a very nice place to live. Love our Mountain View. This place is great. The location couldnt be more ideal. You are close to everything you would need but far enough away that you dont get into all the city hustle and bustle. It’s been a pretty pleasant experience so far! Staff is super helpful and friendly. Maintenance is really nice and prompt. Not super loud or anything and everyone has been really friendly. Community and location is good. Rent is high, but that’s to expect in the area. Staff is friendly but seems to change a lot. It’s been stable for a while which is a good sign. Good experience living here...the transition from old management to new was pretty smooth. The hot tub was great until it broke...hopefully it will be repaired soon. Things seem good within this community. When I need maintenance they help. The maintenance isn’t always the fix but I appreciate them trying. I really enjoy living here. I feel safe and the office staff are wonderful. Our maintenance staff are always responsive to work orders. Nice to live away from the middle of Denver. I love the maintenance and new management team! 💚💚 They are prompt with work orders and very friendly. Just under a few renovations but it’s a great place! I especially love Luisa and Crystal!! We wish we weren’t living right on Simms but we still love being here!! The Christmas party was wonderful! Thank you so very very much!!!!!! Haven’t moved in yet, but they’ve been very welcoming so far. Looking forward to being part of the community and everything they have to offer. Love the location! Close to the foothills and many desirable shopping and grocery stores. Quiet area and friendly staff. The renovated interior is nice and gives a newer modern feel. 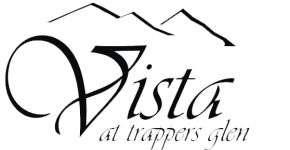 The community at Vista at Trappers Glen in great. It is clean, maintenance does a great job, the office staff is helpful and respectful. I have enjoyed my time here so far. Good, quiet community. Friendly and helpful staff. We have lived here for 6 years now. My son's best friend lives in another building. Close to school, work and family. Vista at trappers glen is a wonderful complex to live out. It's located in a very beautiful spot with mountain views. Never thought I'd live in such a gorgeous location. Nice neighbors, maintenance guy is awesome, and it's in a great location. Had a few issues but Josh has done a great job of fixing them in a timely manner. Overall I love the location, and the multiple entrances. I think you either get lucky or not with noisy neighbors. The wood floors are a great addition, and it feels very modern vs old. The parking however is a little odd with only one reserved space per apartment. I am happy with the experience with living here. The park right down the street to catch the sunset is great as well! The staff is very friendly and helpful. And the new residence process is very smooth. Small, quiet and beautiful community. Staff are extremely friendly and are willing to help whenever possibly. Lots of open space and grass for your furry ones. Moving in was so smooth and easy here, and they were so helpful fixing the little things that you fi d when you move in. Everyone at the leasing office was so helpful and it's been a great experience moving here. Portal works well for requests for maintenance and seeing what your current balance is .Office staff are on top of things and listen to your needs. Josh as maintenance man is the best!! !